Whatever your Toronto, ON, HVAC service needs, you can count on the professionals at Air Leaders Inc.. Our reliable, dependable technicians deliver punctual service to all of our customers in the Markham, ON, area, as well as prompt project completion. You won't have to waste a lot of time waiting for our arrival, and we will get the job done right, and get it done the first time, as quickly as we can. Wherever you are located in the Toronto area, we can deliver a wide range of services to fix whatever cooling or heating system problem you are experiencing. 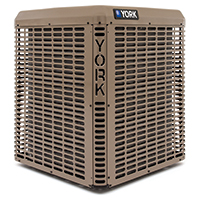 In addition to air conditioning repair and installation, we also offer heating system repair and installation. We can fix your boiler as well to keep your home warm and comfortable. We are a locally owned and operated company, and our technicians are licensed and insured. When you need Toronto, ON, HVAC service, you need it fast. After all, air conditioning and heating problems aren't considerate enough to occur on any schedule. That is why, at Air Leaders Inc., we provide emergency services on a 24/7 basis. We are committed to the satisfaction of all our customers in the Markham, ON, area. Give us a call today if you would like to learn more about our services, or if you would like to set up an appointment.